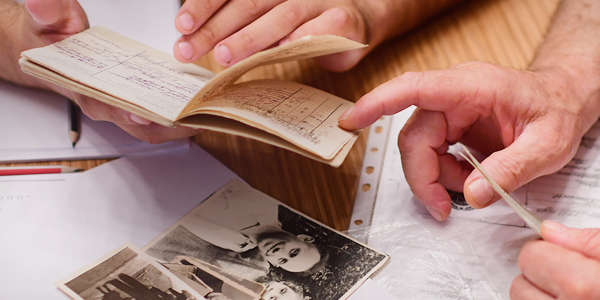 This first in a series of Q &As with Yad Vashem staff, takes a behind-the-scenes look at the Reference and Information Services Department of the Archives Division. Department Director Lital Beer gives an overview of the their current challenges and accomplishments. Why was the Reference and Information Services Department established? 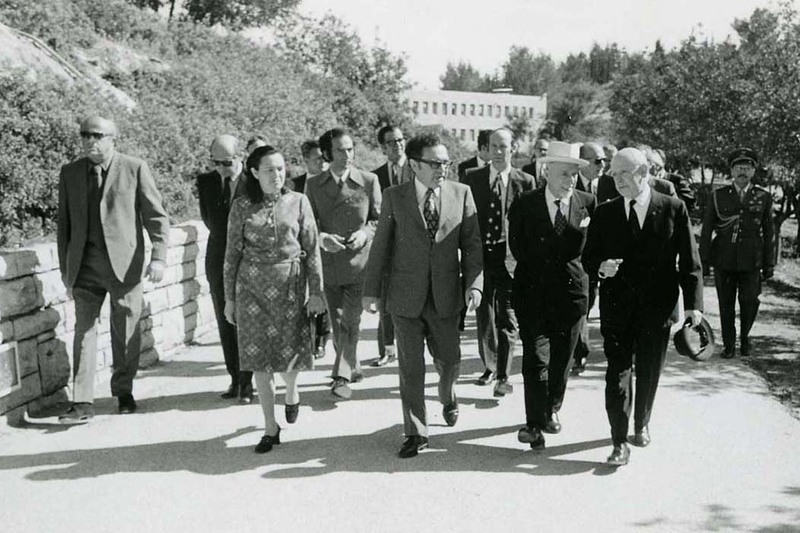 The Reference and Information Services Department was established in 2000 in order to streamline public enquiries directed at Yad Vashem's Archives, Library and Hall of Names. Until this point, these three branches offered separate services to people seeking information about the fate of certain individuals during the Holocaust. The precedent-setting decision to unite them, stemmed from the understanding that in most cases, this kind of query requires a search across multiple databases, producing a far more comprehensive answer. Over the years, the Department employees have developed specialties in database management, particularly the ability to cross-reference accurate information and documentation about Holocaust victims. Which people or groups seek help finding information, and in what fields? Approximately 10,000 people per year come to Yad Vashem’s Reading Room, and around 20,000 more contact us in writing from all over the world – from Israel, Europe, America, and even from Arab countries. A considerable amount of requests deal with clarifying the fate of Holocaust victims, mostly from relatives, but our services also help professionals in the fields of genealogy and law. I'll give you an example. Recently, Henry Horvath from Ecuador visited the Archives with his son, Ronny. Henry's father, Aladar Benjamin Horvath Goldstein, was born in 1907 in Zagon, then part of the Austro-Hungarian Empire and today located in Romania. Aladar survived the war in France, where he was located for business purposes, and from there he escaped to Portugal. He was the only surviving member of his family. His son Henry sent us the names of his father's brother and sisters, about whom he had no information. Rita Margolin, a senior researcher in our Department, was able to locate information about each and every member of Aladar's family. Other inquirers are Israeli and international researchers from various disciplines looking for archival and academic sources, as well as book publishers and even film producers seeking information to complete their research. We also assist museums and other memorial institutions searching for sources and information for exhibitions and ceremonies. What challenges do you see for the Department in the future, and what tools do you already have to help solve them? Nowadays, people are exposed to a wealth of information and documentation on the Internet, and therefore their inquiries are more challenging in terms of the material itself, its context and its significance. 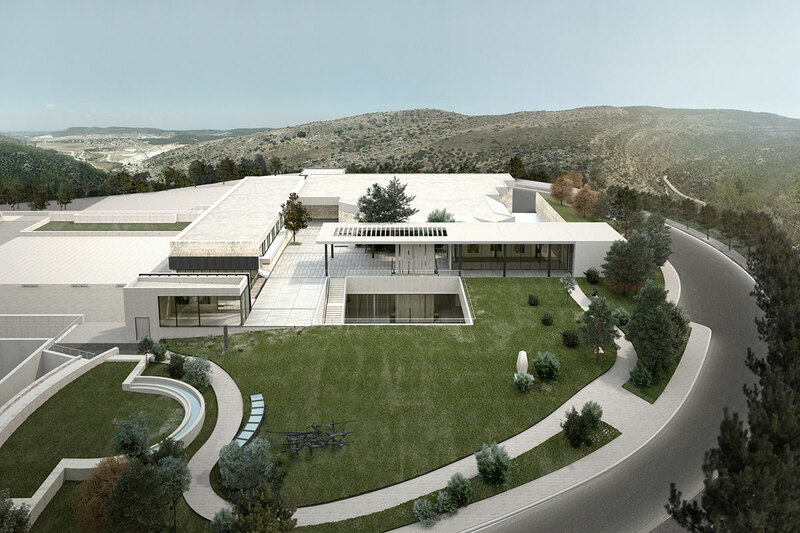 If a large part of our work in the past involved assisting people with accessing available materials on Yad Vashem’s physical campus, our role in the future will focus more on the need to help the public identify what’s relevant from the variety of accessible materials from around the world. This challenge demands that we learn and continuously develop specialties, and we do this both by training new staff members and by regular professional development programming. 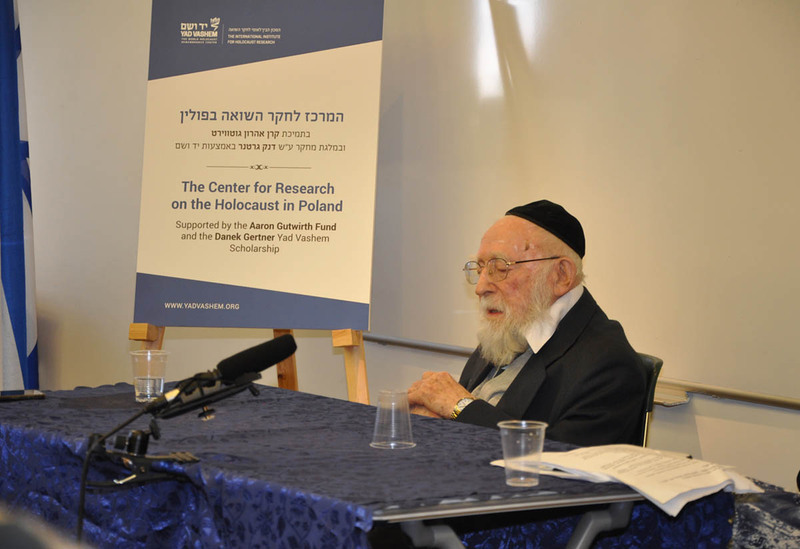 Another challenge is the gap that often exists in the third and fourth generation’s knowledge of the Holocaust versus that of the first and second. In many cases, we receive requests for information from people who don’t know all the family details, such as names, birthdates, and places. In my opinion, this trend will increase in the future, so we have to be able to fill in the missing information in a variety of means. Often this is real detective work. The greatest difficulty is understanding that it is not always possible to be completely sure of the final fate of a particular person. Why is it important for people to know about your services? How do you reach people that are unaware of your work? Despite the distance of time, the Holocaust continues to be an important and major subject in the consciousness of people in Israel and the entire world. Many are unaware of the vast information stored at Yad Vashem. The material accumulated here is meant to assist the public – as individuals and as groups – in researching the Holocaust and the history of individuals during that time, and commemorating them.We aren’t fulfilling our mission if our sources aren’t being used by the public in the most effective way. As such, we maintain working contacts with a great many Holocaust-related institutions and organizations; we initiate and participate in conferences and study days; and we also work with universities and colleges to inform people studying the topic about our services. Our greatest satisfaction is when we can help those who have approached us by supplying them with information they were unable to reach alone. 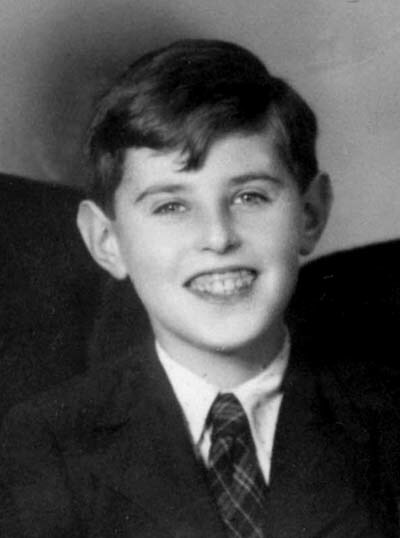 After returning to Ecuador, Henry Horvath wrote: "My father was the only survivor of his family. I lament the pain that accompanied him during his lifetime. He was never able to talk about it or share whatever information he had, and suffered in silence. I understood from an early age not to ask questions, since they caused him pain. I only recorded in my mind the few comments that once in a while would escape him… We are especially grateful to everyone who helped put together the story of my family. Now I know the names of the husbands and the wives of my uncle and aunts, and also the names of their children and how many of them existed... Now I know when they were deported and where. Now I have been able to put names to the people in one family photograph that dates back to 1937… [this has] finalized an open question I have wrestled with my entire life."